The beauty and uniqueness of New Zealand is serene in South Pacific. New Zealand is the largest visible part of Zealand IA, a submerged continent half the size of Australia. The government is rated in top three fiscal transparencies. New Zealand promises unforgettable experiences and different adventurous that people will remember lifetime. The climate in New Zealand is mild with maritime temperature conditions in South and subtropical areas on part of the north eastern University. New Zealand consists of variety of religions and festivals with various Christian denominations and many does not identifies with many religious faith. For transportation buses and trains are commonly used within the country mostly by students for international student to travel. Biking is also a popular option in New Zealand. 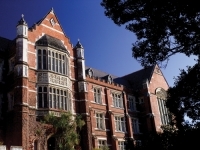 In New Zealand provides students a safe learning environment. It is the first country in the world to declare itself as a nuclear free zone. The same way enables it to offer excellent welfare services to student around the world. The polytechnics in New Zealand are known for program “Read the entire job markets”. The best thing of studying New Zealand is that NZ is comparatively less than other major destinations such as U.K, USA, CANADA. The people over there are renowned for their Hospitality and their love for sports & the outdoors. Students in New Zealand are given a visa to search job after completion of their course & also have good opportunity to migrate. International students find it very easy to communicate in NZ because English is day to day language. More over NZ accent is very easy to understand. The visa success ratio for New Zealand is good now days. Scholarship is also available in New Zealand. Qualifications from New Zealand are internationally recognized.